Happy Friday! The weekend is just around the corner, and we’ve put together the perfect soundtrack for it with new sounds from Café Spice, Heavy Lungs, ISLAND and more. 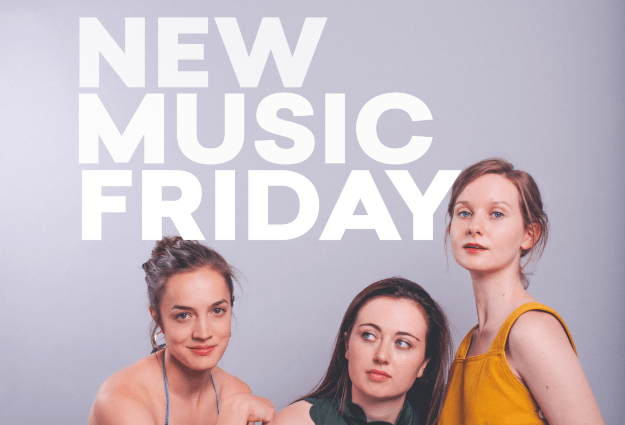 Here are five fresh tracks from New Music Friday. ISLAND have just dropped a new single, alongside dates of a headline EU/UK tour. ‘Just That Time of The Night’ is the first track from the four-piece’s forthcoming EP, set to be released early next year via Beatnik/Frenchkiss. ISLAND kick off their headline tour in February of next year – check out the dates here. Manchester trio Café Spice have made their debut with single, ‘Lauren’. Named after band member Georgia Gage’s little sister, ‘Lauren’ laments the bond of sisterhood and the pain of homesickness. Filled with hypnotic harmonies, film melodies and sincere, sweet lyricism, it’s a tantalising introduction to the group. ‘Lauren’ is the first in a series of singles recorded in British Grove Studios to be released by Café Spice. You can catch them performing at Jimmy’s in Manchester on 6th February of next year. Swedish artist ELINA dropped her new single ‘Champion’, ahead of her debut EP in Spring 2019. ‘Champion’ is a disarmingly tender track, with welcoming, warm vocals veiling heartwrenching lyricism which lament the feeling of inadequacy in relationships. Indiana-based musician Kevin Krauter has shared a new video for his track ‘Suddenly’, taken from his debut solo album Toss Up. Krauter has also revealed the dates of his first UK/EU tour in February 2019 – you can check out the dates here. Heavy Lungs have released the visuals for their recent single, ‘Blood Brother’. The visuals for the track, which was penned about IDLES frontman Joe Talbot, have been directed and edited by Elliot Pearce. You can catch Heavy Lungs on a U.K tour early next year – check out the dates here. Listen to all of the tracks featured over at our Spotify playlist.